These cute robot toys are unique on their own, but they pack a secret. With so many kid-friendly games, apps, and programs these days, it can be hard for parents to pry their kids away from the screen—but not all screen time has to be passive. 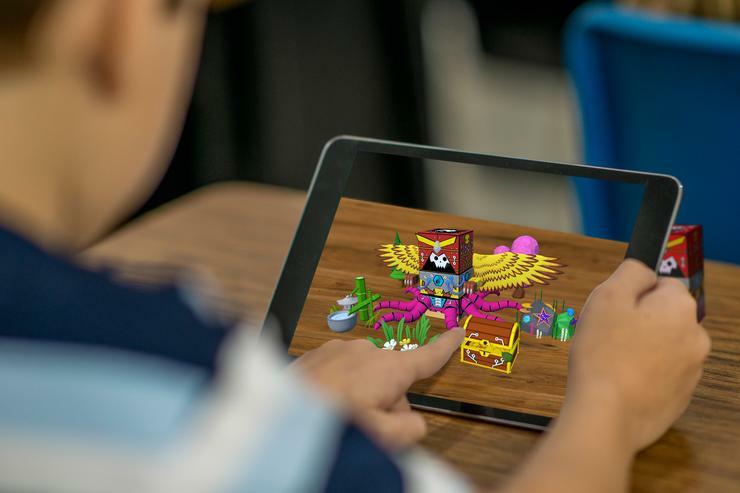 SwapBots is a new line of physical toys that spring to life when paired with a smartphone or tablet, thanks to augmented reality. The toy itself is made up of various blocks that you stack up, three pieces high, to make a character—pick between different feet, torsos, and heads. The blocks are lightweight, and are easier to stack than your standard Lego bricks. Once your bot is ready to roll, the app will walk you through the pairing process, which only takes seconds and involves holding the toy up in front of the camera. Once activated, your character will begin to move—flapping its wings, wiggling its tentacles, or whatever features you’ve given your bot. As for the app, it contains different minigames that you can play with your SwapBot. The demo I saw at South by Southwest involved tapping the iPad’s screen to shoot fireballs at targets, and moving your bot around to collect items and earn in-game currency (which look like bolts, naturally). Also in the works is a storytelling feature that will let you explore different narratives for the character you created. Each block has a different characteristic, so no two bots will be the same—and different characteristics come in handy, depending on the game you’re playing. For example, it might be beneficial to have a character with wings during a level with high-up targets. 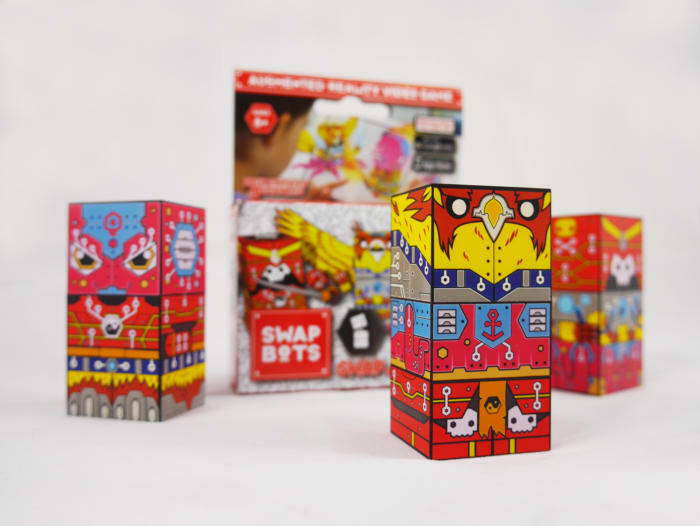 Not only are the SwapBots toys really cute, it has a great price point considering the tech behind it—a starter pack of three characters will only cost $20, and the app itself is both free-to-play and free of in-app purchases. You can preorder a starter pack of SwapBots via Kickstarter, which comes with three full characters that you can build out with various parts. It’s set to ship later this summer—check out the video above to see them in action.